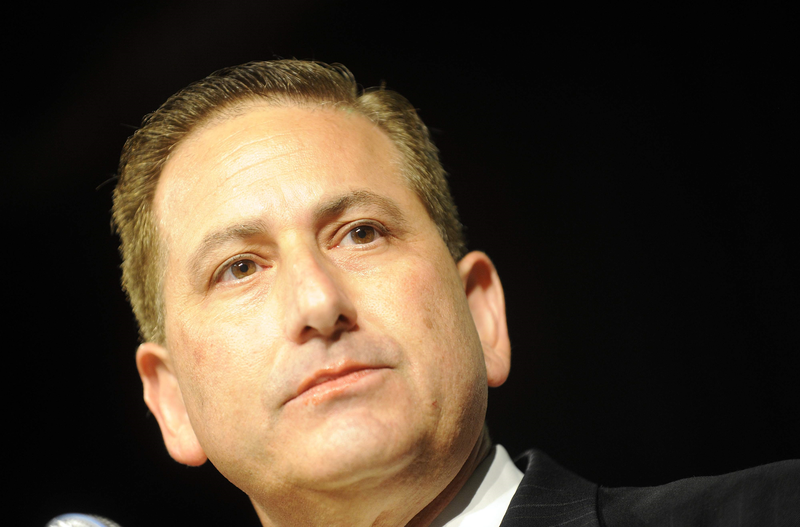 Last weekend, Mayor Rick Kriseman met with Ministry of Foreign Affairs (MINREX) officials to ask them to choose St. Petersburg as the home of the first Cuban Consulate on US soil in 54 years. Expelled Directorate of Intelligence (DI) officer Gustavo Machin Gomez, serving under the shallowest of “covers” as the MINREX Deputy Director for American Affairs, met with the mayor for about 90 minutes. The son of a revolutionary “hero,” Gustavo Machin was declared Persona Non Grata and expelled from the US in November 2002 in retaliation for the Ana Belen Montes spy case. 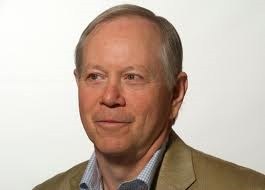 Tampa philanthropist David Straz Jr., part of the mayor’s delegation, told the Tampa Tribune the trip was an “absolute success.” Straz serves on Tampa’s Alliance for Responsible Cuba Policy Foundation, the pro-normalization group sponsoring the trip. “St. Petersburg City Council Chairman Charlie Gerdes, Deputy Mayor Kanika Tomalin and Chief of Staff Kevin King” also made the trip to Cuba. Local officials seek to use a consulate, in part, to profit from the global coverage of our evolving US-Cuban relations. Overlooked by city officials is the intelligence threat posed by such a consulate. Tampa, just 20 minutes from St Pete, is home to the Middle East-focused US Central Command as well as US Special Operations Command — both major targets for Cuban spies. 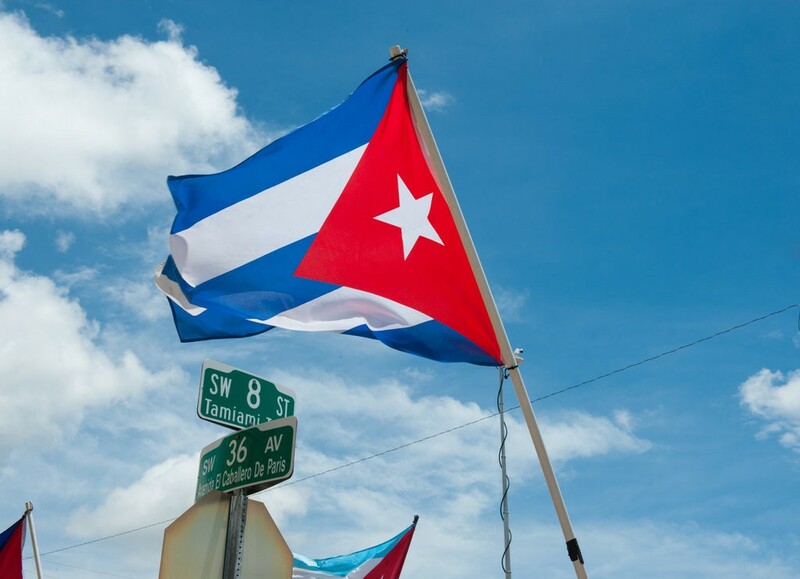 The region’s Cuban-American population, third largest in the US, is also targeted. Allowing Havana to post spy-diplomats in the area will actually drive down the cost of its spying against the US – a key concern given the regime’s service as intelligence trafficker to the world. Cuba’s targeting of US political, economic, and military secrets occurs not for defensive purposes, but because these secrets are viewed as a precious commodity to be sold or bartered globally. According to defectors and émigrés, American information is now reportedly among Havana’s top five revenue streams. Weapons shipments from China, oil from Venezuela, cash from Russia and pro-Cuba votes at the United Nations are among the rewards harvested from its espionage. As such, its time our elected officials started taking this espionage threat seriously and stopped pandering to the apartheid dictatorship in Cuba. 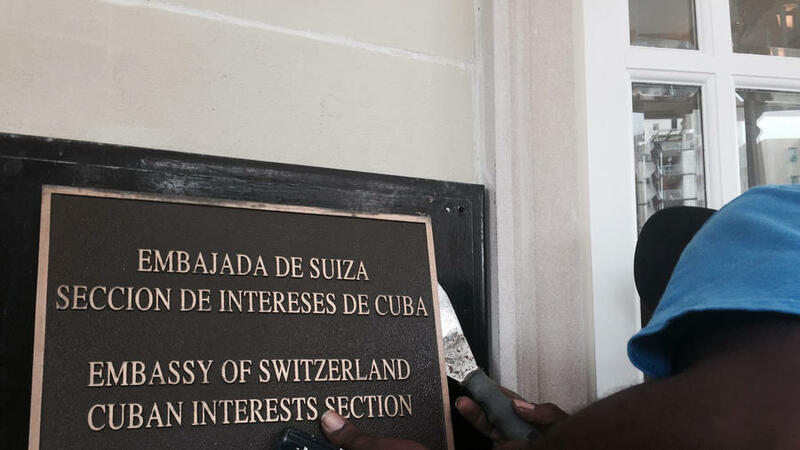 A worker removes the Cuban Interests Section sign in Washington, D.C., on July 15, 2015, just days prior to the building being accredited as the Cuban Embassy. “It is going to be a celebration on our part,” said Gustavo Machin, deputy director for U.S. affairs at Cuba’s Foreign Ministry (Chicago Tribune). 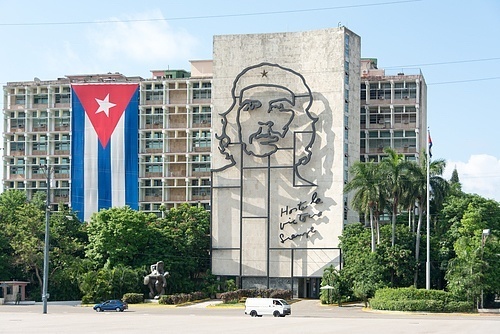 The Directorate of Intelligence (DI) spy – thrown out of the US in retaliation for the Ana Montes spy case, told reporters many Americans who have supported the Cuban Revolution will be among the 500 celebrants at the new Embassy. 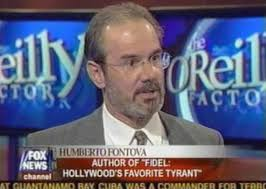 From Machin’s perspective, it would certainly be a Cuban spy-handler’s dream – hundreds of media, politicians, academics and Castro apologists all in one place at the same time. The DI staff embedded within the Interests Section/Embassy will certainly be working overtime – I expect they also brought in temporary help within the “30-member delegation of diplomatic, cultural and other leaders” that arrived for the Embassy opening. Hace dos años, el informante del FBI en Miami Gilberto Abascal fue el testigo clave de la fiscalía en el juicio del exiliado militante cubano Luis Posada Carriles. En el 2006, él fue el principal informante en el juicio por armas de Santiago Alvarez, partidario de Posada, quien fue hallado culpable. The republishing of this article is permissible if the author is acknowledged as the originator.